Win with the CW46 Crossover Event! 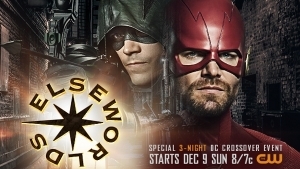 The CW46 is bringing a new character to the screen and you can find out who with the most anticipated DC Crossover Event, Elseworlds, starting this Sunday with the flash, Monday on Arrow and Tuesday with Supergirl. Listen at 7:10 with Nate & April to reveal the keyword to text to win an Elseworlds prize pack including Season Four of the Flash, Arrow Season Six and Season Three of Supergirl and a $50 American Express Gift Card! Plus one lucky listener will win a $200 American Express Gift Card. 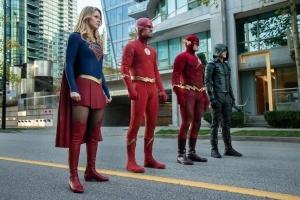 watch the Elseworlds crossover event with the Flash, Arrow and Supergirl and listen to text to win from the CW 46 and 102.5 WIOG.